Save Time & Money by getting everything you need for your hydraulic steering system in one location, at a fraction of the cost. Maximize the efficiency and effectiveness of your Hydraulic Steering System by using BoatSteer Hydraulic Steering Fluid. 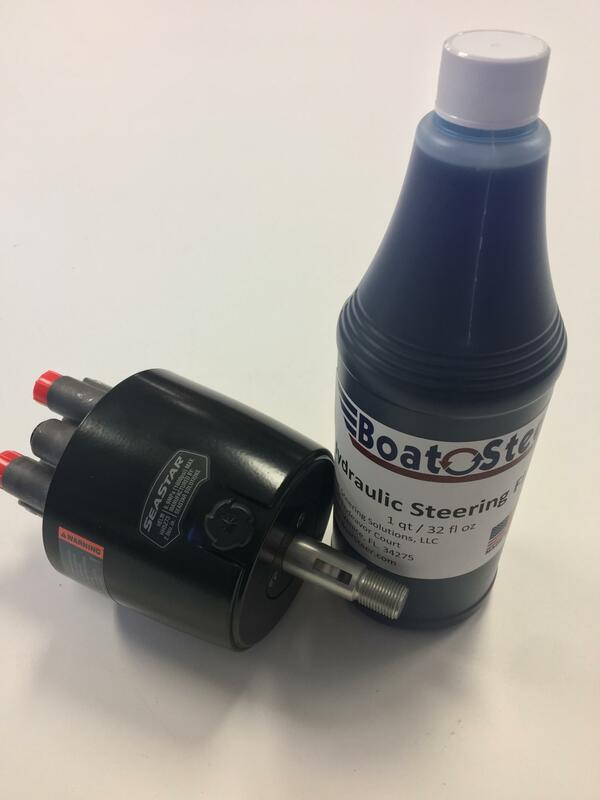 BoatSteer Hydraulic Steering Fluid meets the same specifications as SeaStar™Hydraulic Steering Fluid, and will not void your BoatSteer warranty.